Research with purpose: labs are full of teams working together on real-world projects that impact communities and organizations right now. For some challenges, there is no time to wait. We make changes that impact the world today. Meaningful mentorship: faculty are committed to your professional goals and work with you so you will succeed far beyond your coursework. The Office of Graduate Studies provides workshops, professional development opportunities, and staff to help you differentiate yourself from your peers. Multidisciplinary opportunities: students here work across disciplines, not in silos. 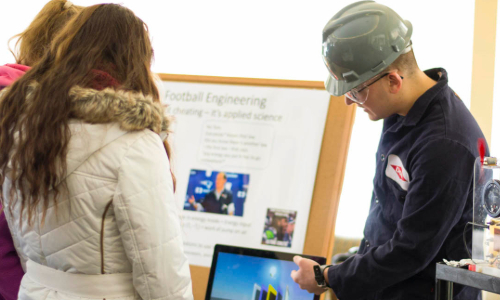 WPI’s size and ingrained spirit of project-based learning makes it remarkably easy to pursue your passions without barriers. The staff in the Graduate Admissions Office will guide you through the application process for the sciences and engineering programs and will also help you adjust to life as a WPI graduate student. For graduate business programs, visit the Foisie Business School. You can also learn more about applying to our online graduate programs. If you are a current WPI undergraduate, you may want to access information about BS/MS programs. With a capstone project completed in partnership with an industry sponsor, students gain advanced, authentic professional experience they can immediately leverage in a professional industry career. A joint PhD program gives students access to two outstanding universities. 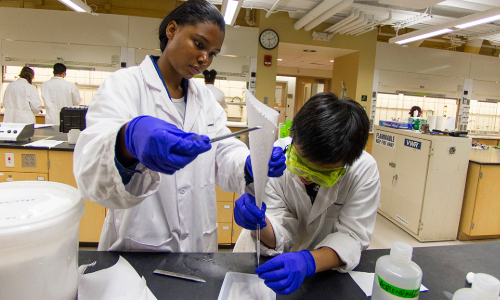 Students in the program conduct research at the interface between experimental and computational biomedical sciences, bio-informatics and data sciences, and engineering. Using technology and innovation to enhance and refine the way users interact with technology, students in this program gain sought-after skills that help organizations stay competitive in the market. 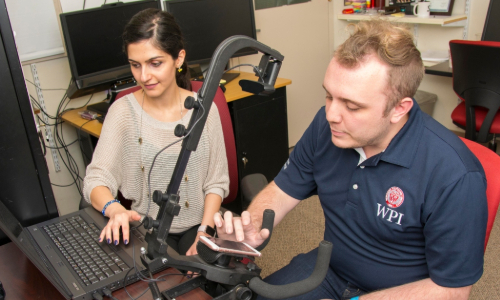 Students learn basic and translational neuroscience through the prism of WPI’s strong computational focus. The result is a comprehensive expertise in this complex field. Advanced degree holders earn an average 35% higher salary than those with a bachelor's degree (State Higher Education Executive Officers, 2012). 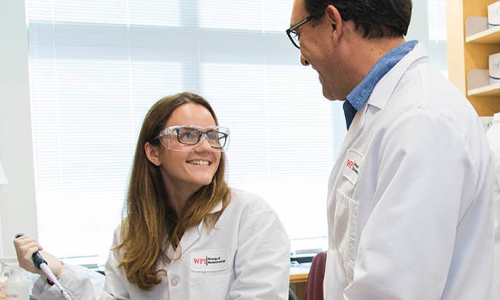 A WPI graduate education offers an even higher return on investment. With an emphasis on applied work, meaningful industry experiences, and customizable professional development, WPI alumni hit the ground running. A student of your caliber will have choices. 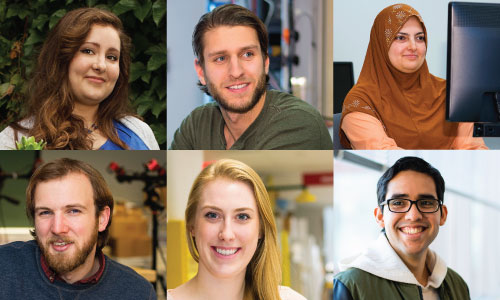 Most of our students could have gone anywhere, and they chose WPI for a variety of reasons. Chief among them is the genuine interest in solving some of the world's big problems. When you're considering enrolling (or have yet to apply), you'll want to watch or read their stories. Here in their own words what makes WPI distinct.